Watch out for thieves, both the wallet and boyfriend stealing ones. As if Shan Shan and Feng Teng weren’t already adorable enough, the awkwardness between them after their kiss and Feng Teng’s confession only makes them that much more cute. We seriously all need to lay off the sugar when watching this drama because their sweetness is enough to replace a pint of ice cream. Who am I kidding, there’s always room for more sweetness! At the basketball court, Feng Teng is in a visibly bad mood and keeps getting texts from Zhou Xiao Wei, aka Ms. Shady Bangs. It looks like the new girl has her eyes set on the boss after their one dance together, but Feng Teng clearly could care less about her. Seeing how annoyed he is, Zheng Qi asks Feng Teng if he and Shan Shan had a lover’s quarrel over him dancing with Zhou Xiao Wei. Feng Teng snaps that they were never together, so it can’t be considered a lover’s quarrel. 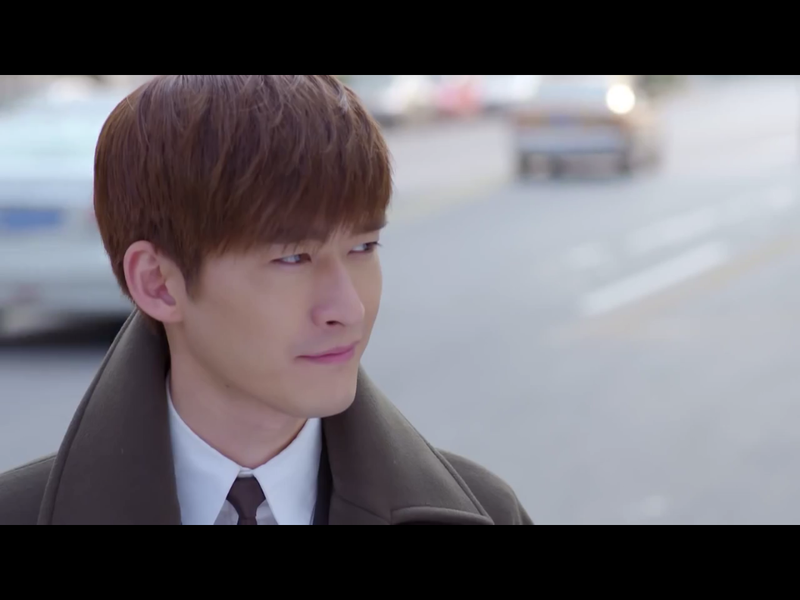 Little does Zheng Qi know that Feng Teng is just frustrated that he hasn’t heard back from Shan Shan after their kiss and his confession to her. It’s Chinese New Year and all of Windgroup is taking a few days of to celebrate. Shan Shan plans to take the train home to visit family, and is looking forward to some time away to really think about all her recent romance drama. 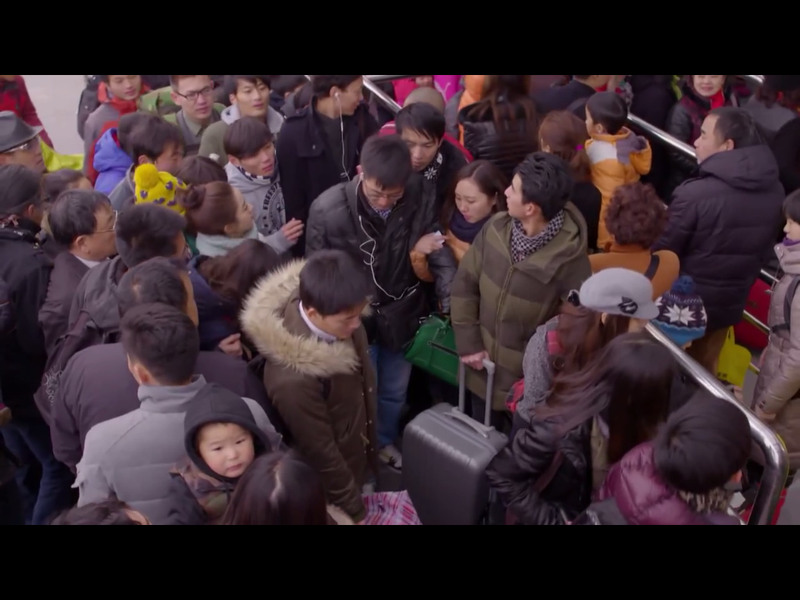 Her coworker asks Shan Shan to bring a package to her relative for her since he’s also from Shan Shan’s hometown. Before she leaves for her vacation, Shan Shan writes out a text for Feng Teng that says, “Happy Chinese New Year,” but sets the sent date for the actual New Year day, and not today. At the train station, the crowds of people trying to get home for the New Year is absolutely insane. I’m getting claustrophobic just looking at them. Shan Shan is also regretting not spending more money for a ticket during a less busy departure time. Right before she’s about to board her train, Shan Shan is stopped by the police and asked to have her bags inspected. When the police opens the package that her coworker gave her, they find the box to be full of chef’s knives. What? During the confusion of the inspection, Shan Shan doesn’t notice that her bag has been stolen. In it were her wallet, ID, and cell phone. Just her luck. Without her ID to verify why she’s carrying a whole bunch of knives with her, Shan Shan has to go to the police station to record down info about the robbery and wait for someone to “bail” her out. The police tell her that even if they were to find her stolen bag, it’s going to be after the New Year. So, Shan Shan is basically stranded in Shanghai. Since they won’t let her leave without someone coming to prove her identity, Shan Shan purposely doesn’t call Feng Teng because of how embarrassing the situation it is. Instead, she calls his secretary, May, to see if she can secretly bail her from the police station. When someone finally comes to pick up Shan Shan from the police station, it turns out to be Feng Teng’s chauffeur and not May! It looks like May turned right around after getting off the phone and told Feng Teng about Shan Shan’s dilemma. 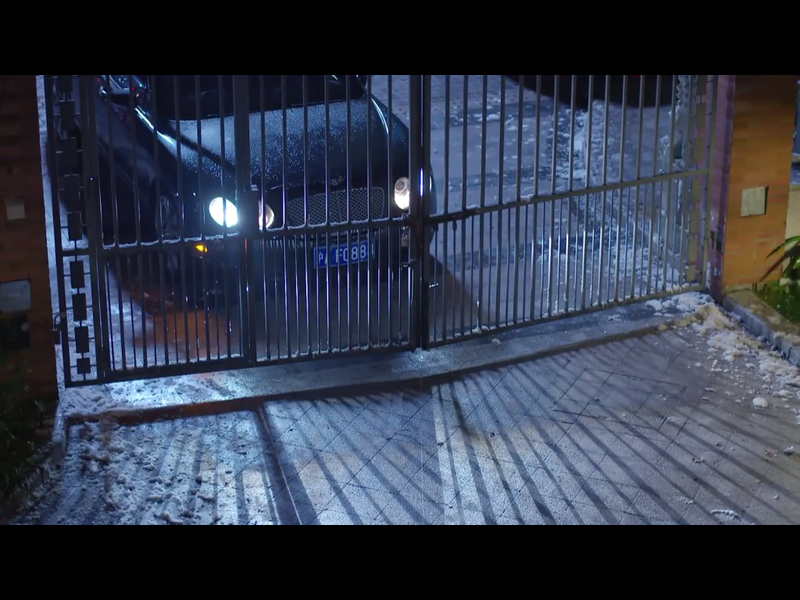 Outside, she sees Feng Teng waiting by his car, and Shan Shan is too embarrassed to look him in the eye. 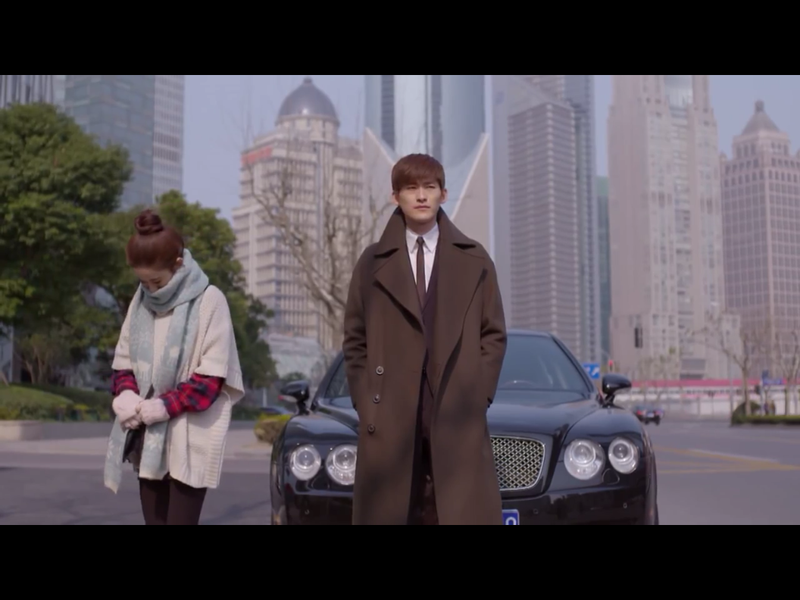 After she explains to him what happened at the train station, Feng Teng tells his chauffeur to go on his Chinese New Year vacation and to leave the car with him and Shan Shan. 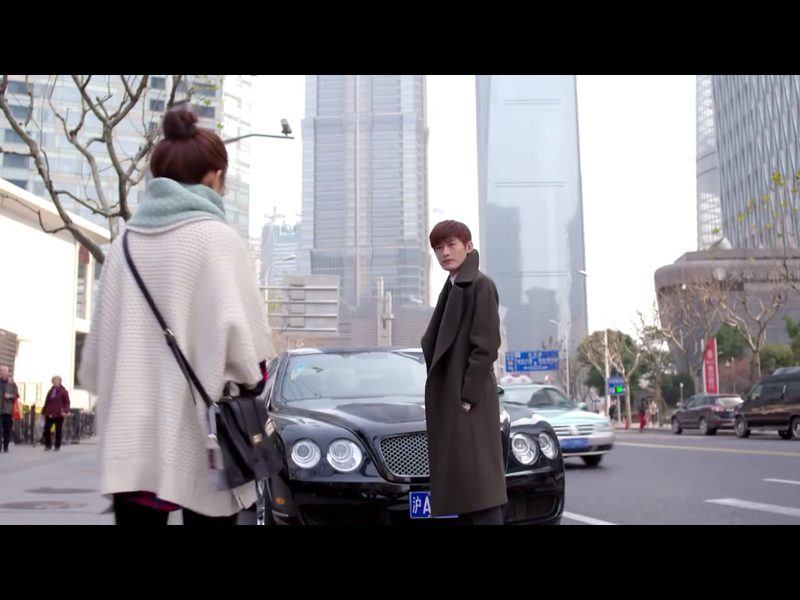 Stopping on the side of the road, Feng Teng asks Shan Shan if she has anything to say to him. When she continues to avoid looking at him and tries to change the subject, Feng Teng asks her why she mentioned working at Windgroup when it seemed like she had forgotten all about him the past few days. Aww, he noticed. Shan Shan makes up an excuse that she wasn’t trying to avoid him, but was too busy working. And since she has been working so hard for the company, she asks him if she can borrow some money so that she can stay in a hotel for the time being. Feng Teng smirks and tells her that his money is not easily lent out. Feng Teng asks Shan Shan again if she has anything to say to him, and she realizes that he’s referring to the two questions he asked her after their kiss. 1) Why does she keeping going to his office every day? and 2) Does she come eat lunch with him every day because it’s his order or if there’s another reason? Shan Shan gets super nervous that he’s bringing up that night again, and thinks to herself that of course she only eats lunch with him because he ordered her to do so…at first at least. I want to eat lunch with you forever. Shan Shan thinks that she needs to give a satisfactory answer in order to borrow some money. So, the answers to his questions that she blurts out is…she was entranced/seduced by his attractiveness! Seems about right. Feng Teng smiles to himself when he hears her answer, but then asks if the attractiveness was not enough for her later on. Shan Shan realizes he’s referring to her rejecting his confession the other night, and wants to say that she only did so because she was drunk, but knows that he’s not going to dig that answer. Instead, she tells him that she rejected him because she wanted to further captivate him. More secret smiling by Feng Teng! Feng Teng tells Shan Shan that he’s very satisfied by her answers, and instead of sending her to a hotel, she can stay at his place for the next few days. Yes, much better option! Shan Shan is feeling a little reluctant and embarrassed to be staying over his place, but since she has no other options, she agrees. At his house, Feng Teng asks his butler to book a plane ticket for Shan Shan to go home. When she’s out of the room, however, he secretly tells him to book one for the day after tomorrow, so the day after Chinese New Year’s day. Feng Teng tells his housekeeper to bring Shan Shan to the guest room, but make sure that it’s the the one in the east room. Because that’s the one next to his own bedroom! Omg, too cute. At breakfast the next day, Feng Yue asks Feng Teng if he’s having Shan Shan stay over for Chinese New Year because he’s actually serious about her, and might plan on marrying her. Feng Teng tells her to slow her roll, and is reluctant to say much else about Shan Shan to his sister. When Feng Yue asks him if he can just tell her what it is that is so special about Shan Shan, he replies that there really isn’t anything…besides her having a good appetite. Not the most romantic explanation, but I’ll take it! Let’s be real, I’m digging all things Shan-Teng ❤ right now. FT loves SS who loves food. Feng Yue tells Shan Shan that they’re all going to the farm later on to pick out foods for their New Year’s dinner. Shan Shan thinks to herself that this family sure likes to pick out foods…har har. Li Shu also pops over to the Feng household, and her face immediately drops when she sees Shan Shan there. Shan Shan tells Feng Yue and Li Shu that she must tell them the truth, and that it was Zhou Xiao Wei and not her that donated blood to Feng Yue during her miscarriage. Feng Yue wonders aloud why Feng Teng would lie about it in the first place, and thinks that it must be because he doesn’t want her to start sending lunchboxes to someone else. Duh, those lunchboxes are reserved for Shan Shan only! Li Shu slaps a fake smile on her face, and tells Shan Shan that if she needs help next time, she should call her instead of Feng Teng. Ugh, get outta here. She’s out to steal your man, Shan Shan! At the farm, Li Shu is very obviously flirting with Feng Teng in front of Shan Shan. Feng Yue sees Shan Shan looking a little sad, and tells her not to worry about them two because that’s how they’ve always been. Girl, you should totally be worried! Just look at how shady Li Shu is being. Look at that shadiness over there. But then later when they’re picking out foods, Feng Teng catches Shan Shan watching him and then glancing away when she sees him looking back. Feng Teng smiles to himself after seeing her act so embarrassed to see him looking at her. CUTENESS OVERLOAD. When Zheng Qi arrives at the farm, he can’t help it but flirt with Shan Shan a little bit. Before Shan Shan can even respond, Feng Teng quickly turns Zheng Qi’s head away so that they can’t look at each other anymore. Sorry Zheng Qi, but the romantic eye contact is reserved for only Shan-Teng <3. After ballin’ with Feng Teng, Zheng Qi takes Li Shu to a sports bar and directly asks her how much she likes Feng Teng. Li Shu was a little too happy earlier when she found out that Feng Teng and Shan Shan weren’t speaking to each other. 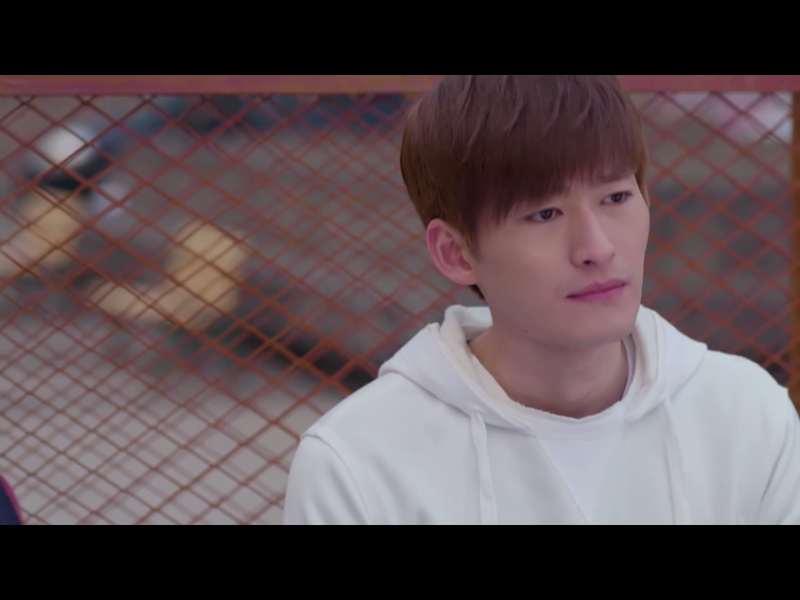 Li Shu asks Zheng Qi how Feng Teng would react if she suddenly confessed her feelings to him, and he tells her that Feng Teng is the type that if he likes a girl, he would never be the first to admit it. Stella at a sports bar? Shan Shan called her mom to tell her that she missed her train, but is staying at her coworker’s house. “Coworker.” Mmhmm. At the farm, Feng Yue and Li Shu take a walk by themselves, and Li Shu asks her what’s the deal with Feng Teng and Shan Shan. She wants to know if Feng Teng actually likes Shan Shan since she had heard they were just fighting a few days ago. Just go away, it’s none of your damn business!